New added: rare US import bottle with short screw cap. 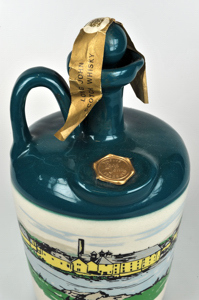 New added: Extremely rare NAS distillery bottle from the late 1940s-early 1950s. This bottle came from The Hamilton Arms pub in Girvan, Scotland. 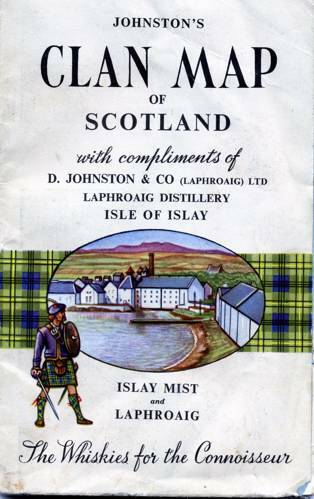 New added a very rare 8 years old Islay Mist from the 1960s. 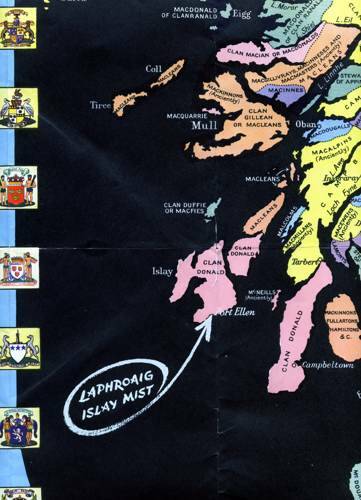 Around 1967 Long John had acquired Islay Mist with the take-over of Laphroaig. This is obviously a Long John bottle, but the label doesn't refer in any way to 'Laphroaig'. 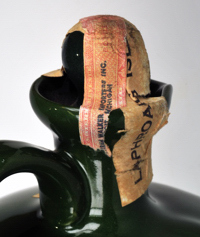 The combination of bottle and label must have been used only a very short while. Here's a little story I wrote for Dutch whisky magazine 'Whisky Passion'. Have you ever stopped to think about how a distillery like Laphroaig worked when there was no electricity, gas or oil available? How mechanical equipment like pumps, mills, rummagers, switchers, etc. were driven? Yet whisky was distilled practically the same way for hundreds of years. The predecessors of today's distillers were exceptionally inventive in using whatever source of energy was available. 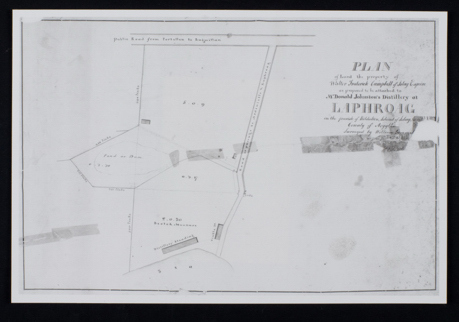 In the 19th century, Laphroaig relied upon manpower, gravity, water, peat, wood and coal. 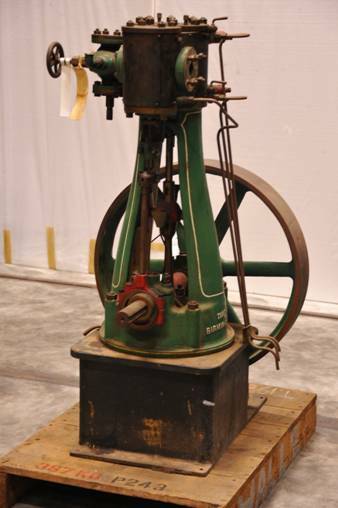 Early in the 20th century oil joined as a fuel source and steam engines were the standard driving power. In the earliest known Laphroaig inventory, that from 1847, a ‘copper wort pump, copper wash pump, Low Wine & Feints pump, copper spirit pump' are mentioned. These were simple, mechanical hand pumps. Situating the cooled wort a floor higher so that the liquid easily flowed to the washbacks and still house below was a clever use of gravity. Some distilleries (such as Ben Wyvis) were built against a hill where the changes in slope dictated the course of the process in a natural manner. At Laphroaig a waterwheel was used until 1924. It was placed against the outer western wall of the still house, driven by the overflow of the two worm tubs, which in turn were filled by a wooden ‘ditch' that claimed water from the surrounding hills. The picture below taken in 1904 is the only remaining one showing the waterwheel. Late in the 19 th century, more and more commercially available steam engines became operational and the oil-burning boilers made their entrance. 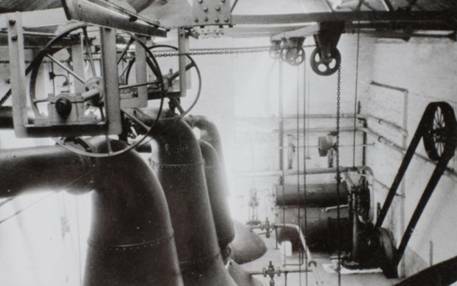 It is not certain when the first steam engine was put to use at Laphroaig. 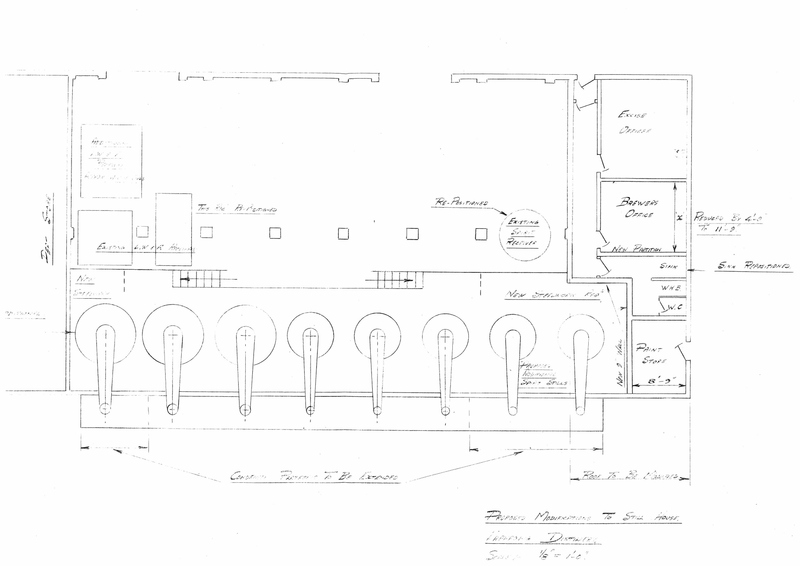 There are two drawings from 1870 that show the design of a steam engine, but whether these were actually used is not known. I have not found evidence in any case. 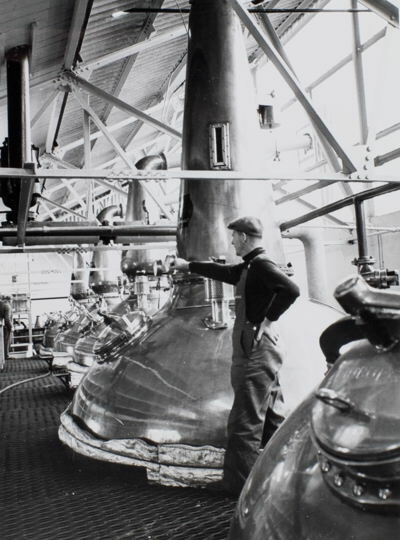 Laphroaig was drastically modernised and expanded to four stills by owner Ian Hunter in 1924. 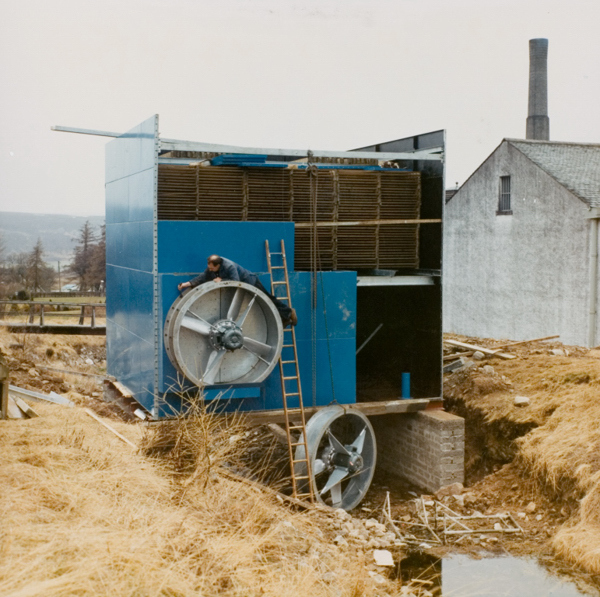 The waterwheel disappeared; electricity arrived as well as oil-fired boilers and four steam engines were purchased: a 44HP Tangye in the southeast corner of the still house that ran the most important mechanical parts of the distillery, a 25PK Marshall machine for the draff-dryer and switchers, a Tangye steam pump responsible for the water supply of the distillery and a small Tangye steam engine to drive the rummagers. Tangye was a renowned manufacturer of steam engines from Birmingham. 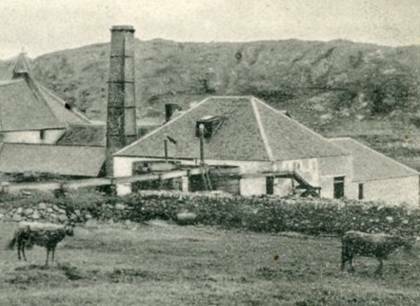 The number of steam engines at Laphroaig appears to have varied through the years. Owner Ian Hunter must have been fond of steam engines, because two scale models were displayed in his office on a long table. 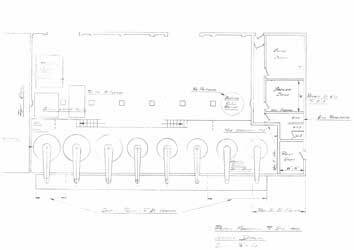 When the distillery was completely renovated in 1967 by the new owner Long John Int., the number of stills was increased to five and the steam engines were removed. 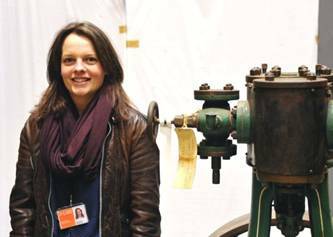 One Tangye was given to the Heriot Watt University in Edinburgh and another to the Scottish Society for the Preservation of Historical Machinery (SSPHM). The others disappeared without a trace, although I've heard from older distillery employees that one is still floating around the distillery for scrap metal. For years I've been searching in vain for the two missing Tangyes. Over the years many Scottish museums have merged, collections were divided over various museums and multiple inventory lists circulated. This made the search incredibly difficult and I had actually given up on ever finding any of the Tangyes. The Tangye that was donated to the SSPHM was actually in storage at a NMS warehouse in an Edinburgh suburb. Elsa had found it after much searching and I could come along to look and take pictures. A week later I flew to Edinburgh with my wife Leonoor where we extensively viewed and photographed the steam engine. Elsa was waiting for us and proudly brought us through a large hall full of beautiful old machines to a crate, especially brought out for us and showing off the word ‘Tangye' and archive number ‘T.1984.192'. The Tangye is a vertical single cylinder steam engine with a crankshaft and flywheel, 1.60 m high and weighing approximately 700 kg. The exact horsepower is unknown, but was probably around 30. On the internet you can find much information about this kind of steam engine. Tom Anderson, who worked at Laphroaig in the 1960s, confirmed that this was the one-cylinder Tangye that stood in the northwest corner of the old still house; it ran the Low Wines and Feints pump as well as drove the rummagers of the two wash stills. Unfortunately there are no photos of this steam engine from that period. The picture below exhibits the other, larger, still-missing Tangye that Hans Offringa and I in The Legend of Laphroaig confused with the NMS-owned Tangye. It is visible in the southeast corner and via a belt ran, amongst other things, the equipment in the adjacent tun room. The NMS Tangye was in excellent condition and a highly recommended acquisition for the Laphroaig museum. Via Facebook I later received nice comments from former employees who had worked with the steam engine. It is heart-warming how much help I have been receiving from Scottish museums, libraries and universities over the years. The dedication of the staff, both young and old, is impressive and they proudly maintain the history of Scotland. A big thank you to Elsa Davidson and the National Museums of Scotland. Many thanks, indeed! New added: possibly the oldest surviving distillery bottle known today. No age or content given. 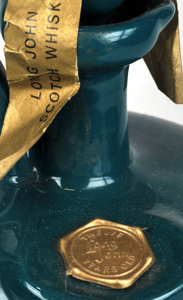 Simple, rare label with Laphroaig still ending with a 'dot'. Rare cork stopper as on the 'Non Peaty' bottle. Possibly 1930s. 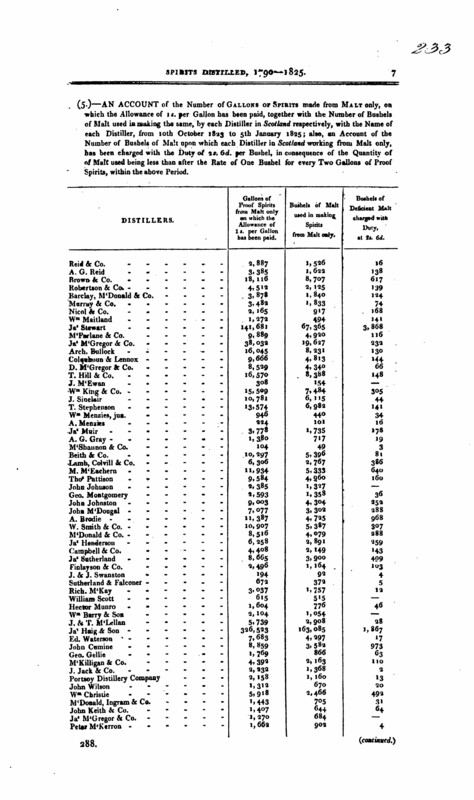 Major source of information: Book of Islay (1895) and the Stent Book of Islay (1890). 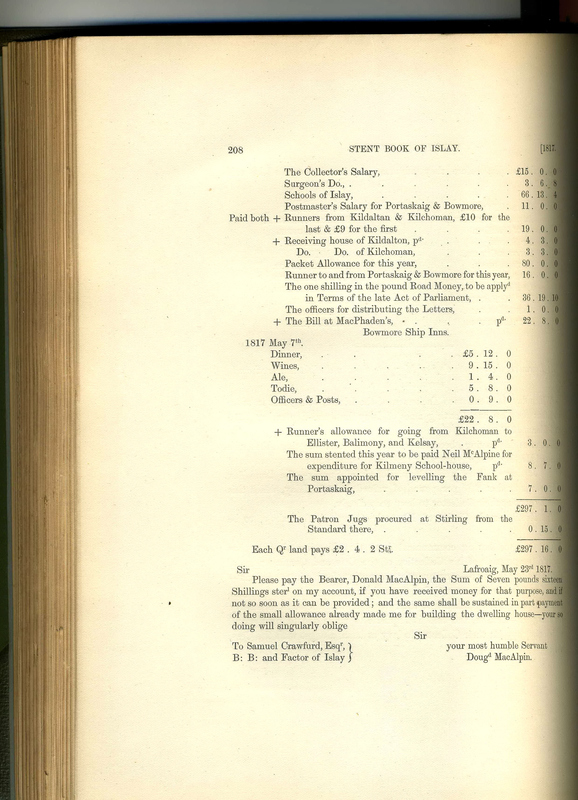 The Stent Book was edited by Lucy Ramsay and the Book of Islay by Gregory Smith from material collected by Iain Ramsay. 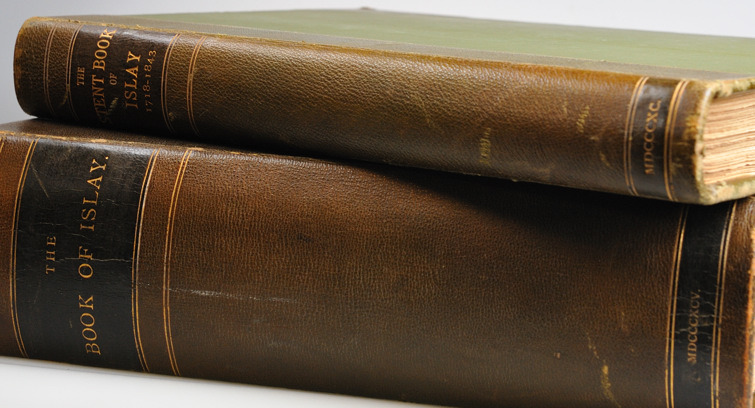 Both books had 250 copies printed. 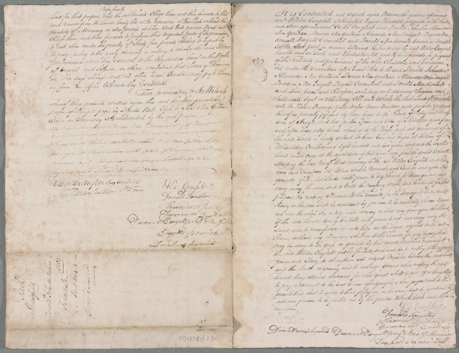 This is the original Torodale lease dated 1802, which can be seen in The Mitchell Library in Glasgow. One of the signing tenants is Duncan MacDougall, who lent a sub-lease to Laphroaig founders Donald and Alexander Johnston. The Donald Jonston mentioned in the Torodale lease was probably a cousin. To read the unfolding story, please scroll down. Three different stages of the early years. People weren't in the habit tearing down derelict buildings. It's unlikely there had been more buildings on the site. 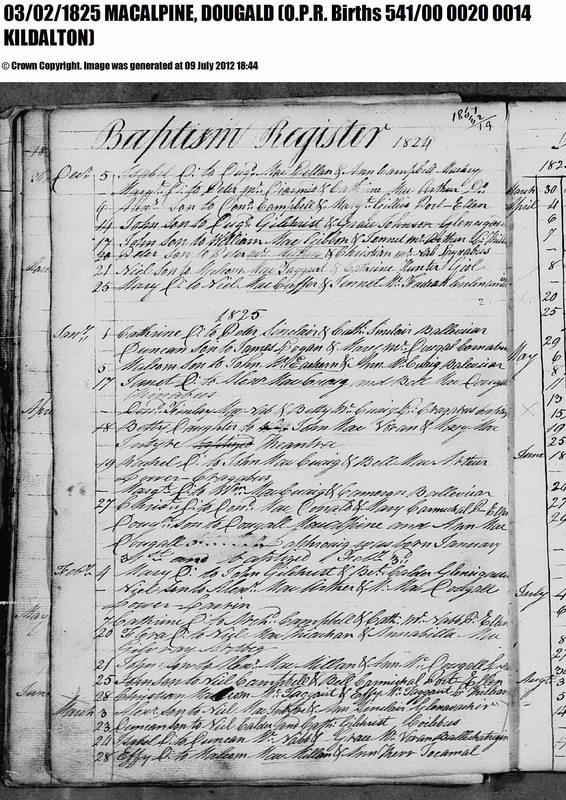 Going through the baptism records of the Old Parish Registers of 1723-1762 and 1789-1830, the very first reference to Laphroaig is 'Birth of' Flora Smith, 29th of August 1792, Laphroaig'. I haven't seen older reference to Laphroaig than this. 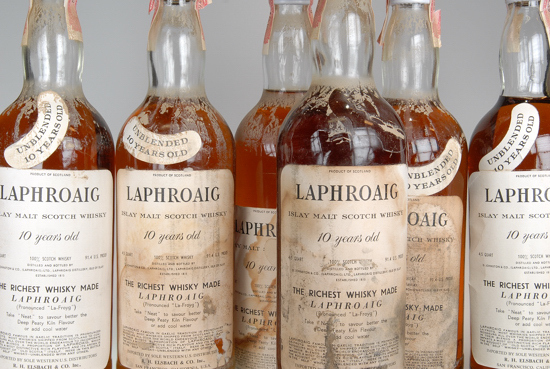 After that, just six different names and at least eight MacAlpine's are recorded at Laphroaig till 1825. Lots of Johnstons born at Taycarmagan and Torradale, but none at Laphroaig (part of Torradale). 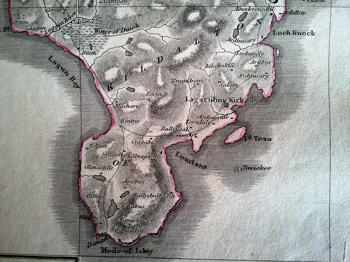 The Johnstons were at Taycarmagan and Torradale all right, but since the scribes distinguish Torradale from Laphroaig, it is not very likely Johnstons settled at Laphroaig, at least till 1825. It has to be considered these registers unfortunately are often incomplete. In the Stent Book of Islay (1718-1848) by Lucy Ramsay, which was published in 1890, I found reference to Laphroaig, 23rd of May, 1817. It's on page 208. Dougald MacAlpine was the Kildalton schoolmaster, and obviously lived at Laphroaig in 1817. 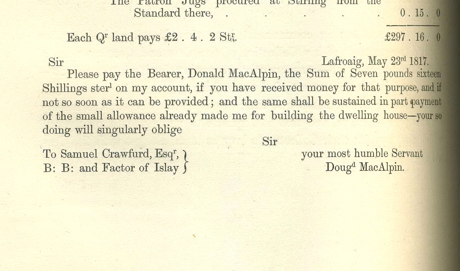 Combined with the text of the lease granted by the McDougalls to the founders of Laphroaig, it's safe to assume Dougald MacAlpine, the schoolmaster, lived at Laphroaig in 1817, before the Johnstons did. 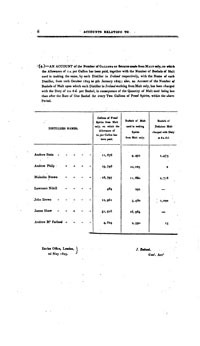 He is last mentioned in the Stent Book to have had his dwelling in 1824, which fits the date of the lease shown below. 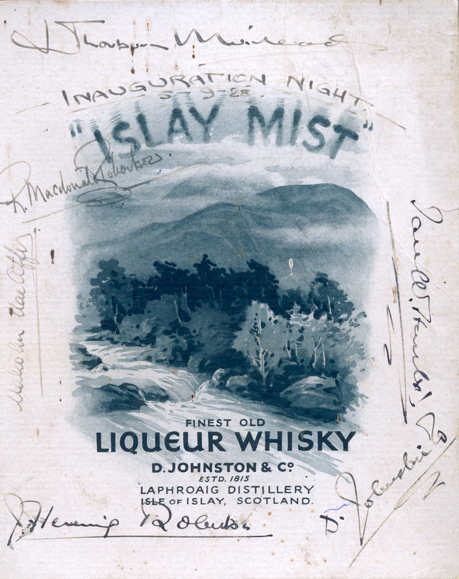 Here's the very first Islay Mist label. It's from 1928, created by Ian Hunter and as you can see it already beares the statement 'Estd. 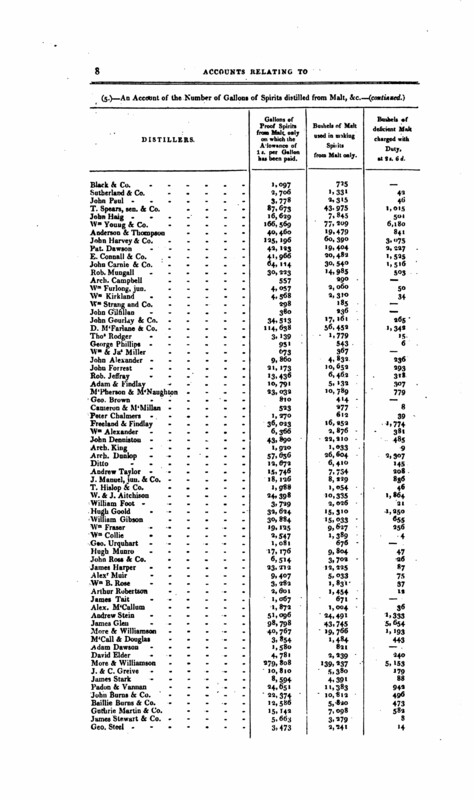 1815'. In two ways this is incorrect. 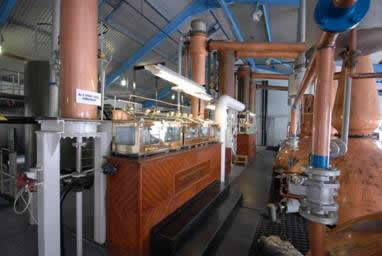 We have seen that distilling on Laphroaig farm started in 1825. 'Estd.' means 'established'. The company name (still) is 'D. 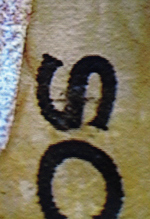 Johnston & Co.', D is for Dugald, who was the son of one of the founders Donald Johnston. 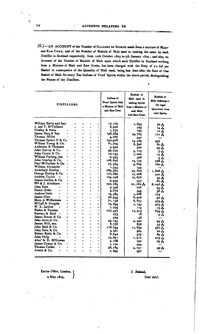 After his father's death, on coming of age, Dugald became owner in 1857. 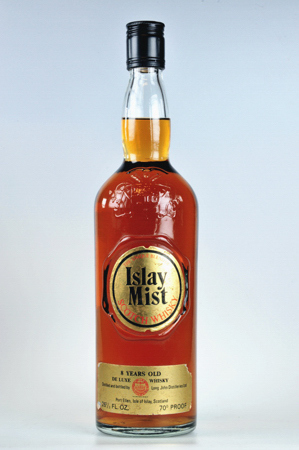 The Islay Mist label was created during the ownership of Ian Hunter. Ian Hunter must have known 1815 wasn't correct. They were a very clannish family and there were enough relatives alive who would have known. 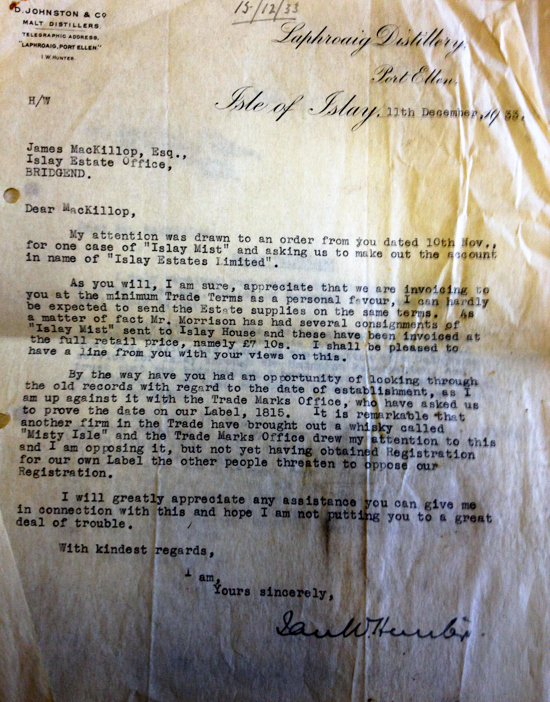 As correspondence shows Laphroaig had been questioned by the Trade Marks Office in 1933. To the defence of present owner Beam Global Int. it must be said they are stuck with this legacy which is something really hard to have undone. Maybe a commemorative bottle in 1815 'Most Honest Distillery of the Year' and a bicentennial bottle in 1825? Huge sales garantueed. Twice. 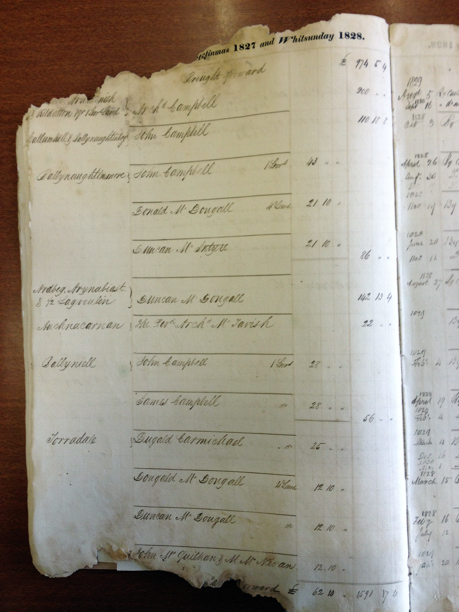 In the mid 1830s the Johnstons appear for the first time in the rent rolls. 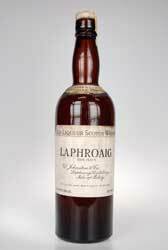 Surely Donald and Alexander can be rightly credited for establishing Laphroaig as a legal distillery, but it is by no means certain they were the first to distil at Laphroaig. After all the McDougalls (Ardbeg!) were a reputed distilling family. That the McDougalls were already distilling on Torradale (not necessarily Laphroaig farm!) proves this little document, which I found in General Register House in Edinburgh (thanks Iain Russell). 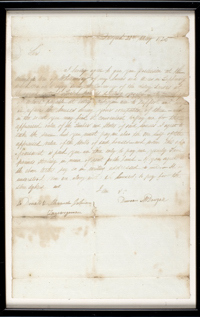 A Duncan McDougall is fined for illicit distilling in 1800. 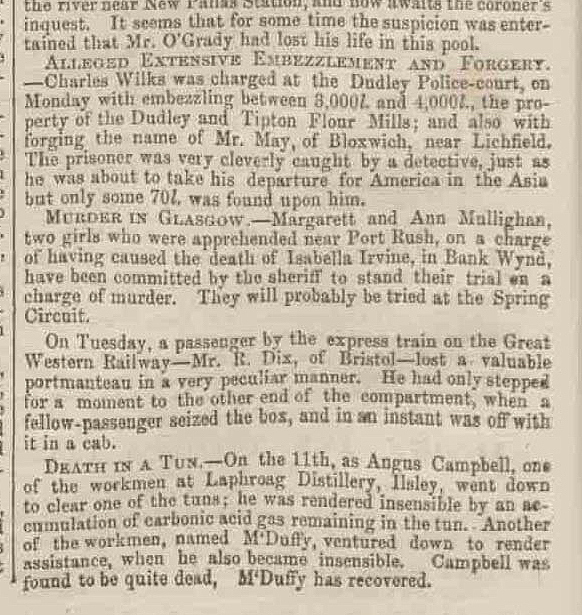 On the next page is stated 'appeared and held guilty'. Here's a picture of Ian Hunter with his dogs. Apparently one of the little buggers had ran off. The ad is dated 15th September 1920 and appeared in The Scotsman. 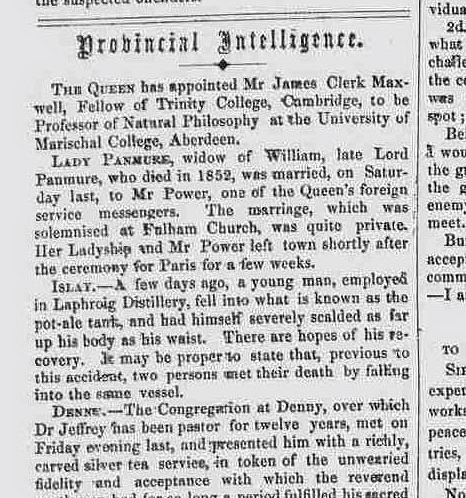 This was published in different papers on the 28th January 1860. Got this today from Louis Reps from Sweden. 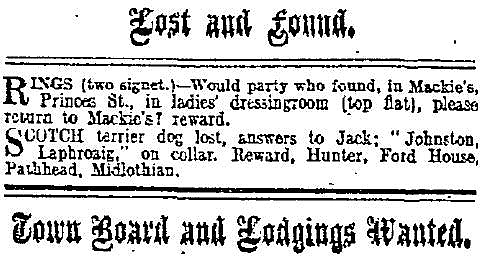 It's an ad that was in the Glasgow Herald from Friday 03 March 1848. Louis runs an excellent website on Glenlochy (thanks Louis). On the verge of Christmas Eve I finally figured out how many stills were installed back in 1967. If you scroll down, you can see the ongoing discussion. Five, six, five again... So I decided to place an ad in Islay's newspaper 'The Ileach' a few weeks ago. And finally got my answer! 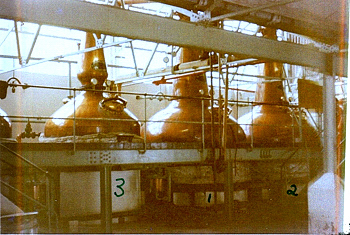 Tom Anderson had contacted Laphroaig's secretary Caroline Morris and sent pictures, clearly showing five stills. Three spirit stills, two wash stills. 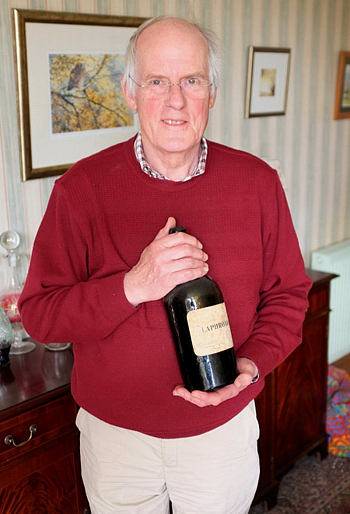 Tom worked for Laphroaig from 1954 till 1968. Except for John McDougall every whisky author has been wrong about this, including the authors of 'The Legend of Laphroaig'... I have no idea where or when the idea of the six stills started. 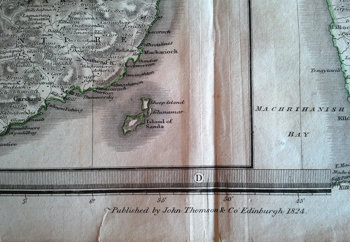 Here's a map by John Thomson, a famous map maker from Edinburgh, drawn in 1824. No reference of Laphroaig yet. 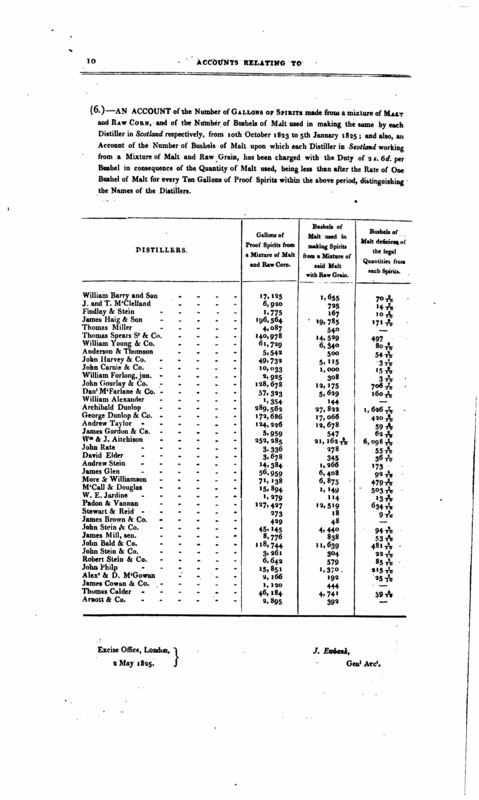 Doesn't prove Laphroaig being founded in 1825, but doesn't contradict it either. Let's throw a rock in the pond...here's a story I wrote for Dutch whisky magazine 'Whisky Passion'. It's basically a plea to return to sherry casks. Laphroaig and just Maker's Mark is not a happy marriage. Life is change. Without change, everything stands still. Animate objects tend to be more subject to change than inanimate objects. A person or animal changes quicker than a rock. Sometimes change is pleasant, sometimes unenjoyable, but always there. It is inescapable. A natural product like whisky changes too. Even more so because it is made by another product of nature, people. Laphroaig could not escape change either. Big changes are usually implemented by accountants and not by regular employees on the work floor. But there are also small, elusive changes. The weather, environment, mice in the grain, fire in the kiln, the stillman with a hangover. The result of all this change? Good or bad? It depends on from which angle you look. From that of the shareholders and the Excise and Duty Office in London, absolutely a good result. But ask Bert Vuik and Michiel Wigman from Dutch Whisky Connection and they will stare sadly at you. Ask a young visitor during the Whisky Festival and he either will not understand the question or else find you an old bore or snob, “in the old days…” Taste and change are subjective. 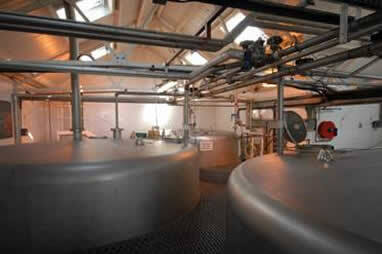 The fact is that Laphroaig has lost much of its original character, although not at a cost to sales figures. Nostalgia and tradition are fine but don't appear in the year-end reports. Marketing has become more important, but regardless of what the PR people would like us to believe, making whisky is a hard business in a tight market, nothing more and nothing less. Too much sentiment is inappropriate because without capital from a multinational company, Laphroaig would have been gone long ago. That capital brought employment and expansion, via which whisky drinkers all over the world had the chance to meet this unusual malt. I have tried to order the change in house style chronologically and to show a big picture of the corresponding periods and what dramatic changes occurred in the production process. Without the pretention of explaining everything or directly making connections. Whisky making is too complicated and elusive to allow that. It is a complex and almost mysterious process, with so many large and smaller variables that influence each other, that it is simply impossible to explain it all. If you want to read more about the natural and scientific processes, then read the book Appreciating Whisky by Phillip Hills. In this place and context, I will not venture into those processes deeply. 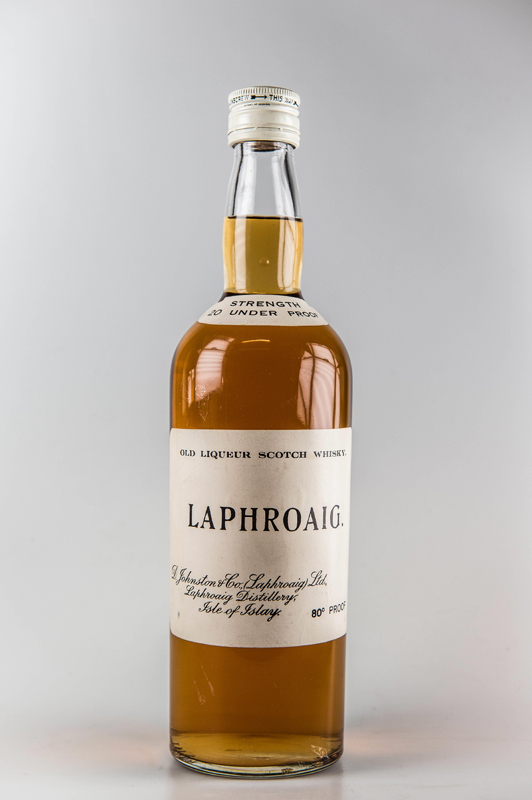 From the 1950s onward you can roughly divide the character of Laphroaig into four periods. The changes do not have sharp boundaries, rather they meld gradually into each other. Of course this does not hold true for every single bottle that entered the market. Some batches, single cask bottlings and vintages vary considerably and are not typical of their brand. I use the 10-year-old distillery bottling as the standard, but the house style holds true for other versions like the 15-year-old and cask strength distillery bottlings. It is important to be aware that when we discuss a 10-year-old whisky, the youngest whisky in the bottle must be 10 years old by law. Usually such a bottle is a vatting of various ages of whisky via which changes initially are masked. I leave the period before 1950 out of consideration, simply because I have tasted too little of it. Do remember that the periods of distilling and the effect thereof are only clear at least 10 years later. Phase one: distillation from the 1950s to the early 1970s. Laphroaig has a dark golden colour, almost bronze. The aromas are iodine (cough syrup), oil, smoked fish and plastic. A perfect balance and a taste full and fatty, oily, lots of citrus fruits, liquorice, tar and more medicinal than smoky. Very complex. Noticeably little smoke, an indication that there were many older whiskies in this whisky. The whisky in older casks loses much of its smokiness. Definitely more sherry influence than today. Endless finish. If you smell the glass the next morning, it is a feast of caramel and chocolate. Striking is that no two bottles are completely the same, not in colour or taste. 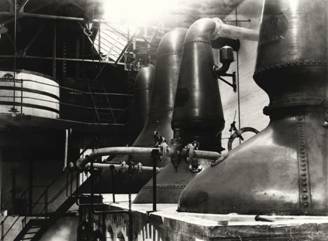 In this period Laphroaig had a beautiful cast iron mash tun, six forty-something-year-old wooden washbacks – some repaired with cement – and, until 1967, four coal-fired stills (two wash stills and two spirit stills). 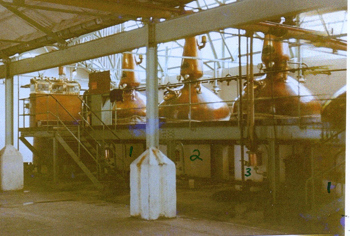 After 1967, there were five steam-heated stills (two wash stills and three spirit stills). It was difficult to control the heat from coal, sometimes resulting in scalding that released unexpected flavours. Steam gives a more predictable and steady heat. 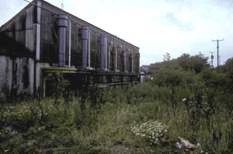 The four wooden worm tubs stood outside until 1967; then they were replaced with six condensers that remained outside. These were joined by one more in 1972. 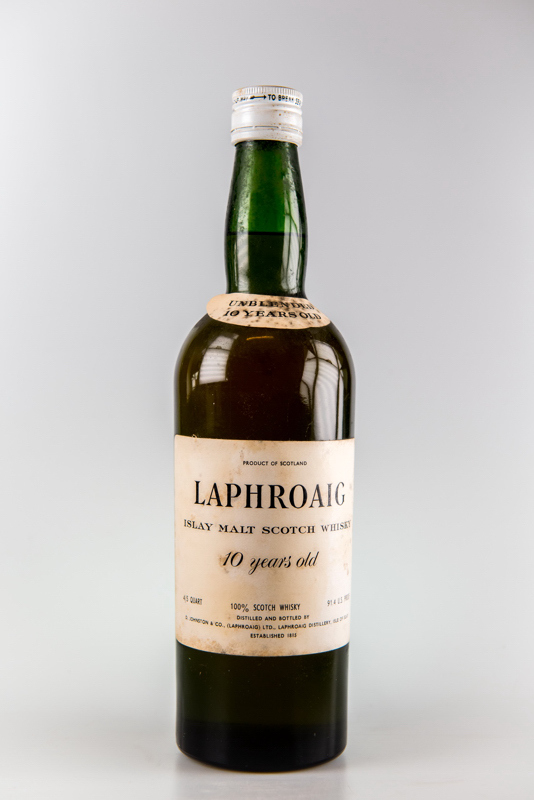 In these years there was very little Laphroaig bottled as single malt. Possibly 10-20 percent, compared with the 60-70 percent bottled today. Only the very best whisky was bottled as single malt. There was relatively more old whisky in stock, which could explain the missing smokiness. Also more sherry casks were used. The liquid yeast came from beer brewers and was a relatively inactive yeast. The result is that the fermentation in the washbacks took longer, which produced more by-products, resulting in corresponding flavours. Longer fermentation (more than 48 hours) delivers more flavour. 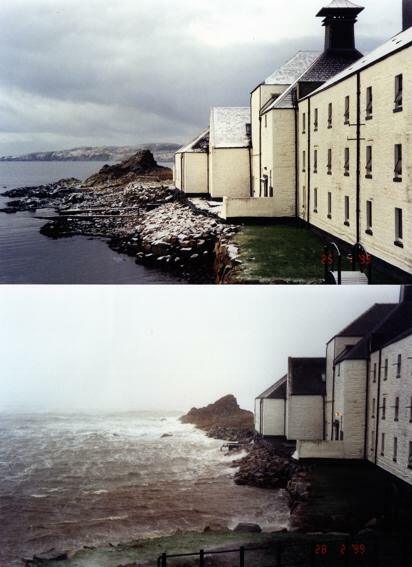 Until 1972 Laphroaig produced its own malt, drying it with its own peat, harvested from various layers. Casks were filled with 63.5% alcohol by volume, which speeded up maturation. Later they were filled at 70% alcohol by volume to save costs: fewer casks were needed. 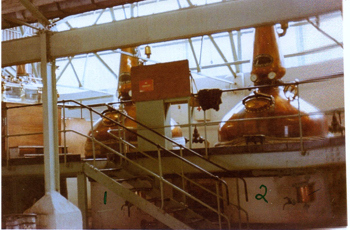 Phase two: distillation in the 1970s. 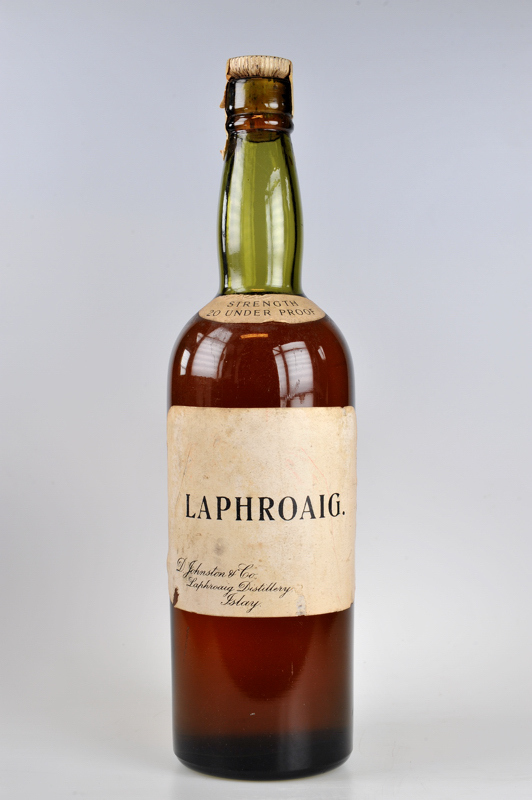 Laphroaig became property of English beer brewer Whitbread in the 1970s, which introduced a new phase. Beer brewers are crazy about stainless steel; the mash tun and six washbacks were gradually replaced with stainless steel versions. For a short period, there were wooden and stainless steel washbacks next to each other. Although currently many distilleries have returned to wooden washbacks, at Laphroaig the wood is still “out”. 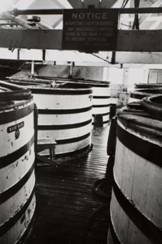 In 1972 a large spirit still (with a capacity of 9,400 litres, double that of the other spirit stills) was added because then-owner Long John International threatened to close Laphroaig unless there was more profit made. After the expansion of 1972, the floor maltings were inadequate to meet demand, thus additional malt came from central malting companies. 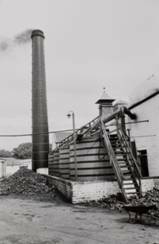 Originally the malt that Moray Firth Malters delivered was nearly non-peated (4 ppm) until Irish Masters developed a new technique for malting highly peated barley (about 30 ppm) on a large scale. The phenolic content increased again but still was not at the level of Laphroaig's own maltings from the years before 1972. Port Ellen Maltings has been delivering the extra malted barley needed since 1983, and currently the phenol content in the mash is between 50 and 70 ppm. Although the owners were warned that the modifications might change the taste, the expansion took place. It quickly appeared that the modifications did have substantial influence and a second flavour period started. The whisky remains complex and balanced, but the sherry influence and fat, syrupy structure are clearly diminished, the colour paler. The nose contains fruit, coffee and smoke. The medicinal taste gradually gives way to smoke. Still lots of fruit. Coffee and chocolate. Some grass. Finishing with a light, pleasant bitterness. Phase three: distillation in the 1980s to halfway the 1990s. 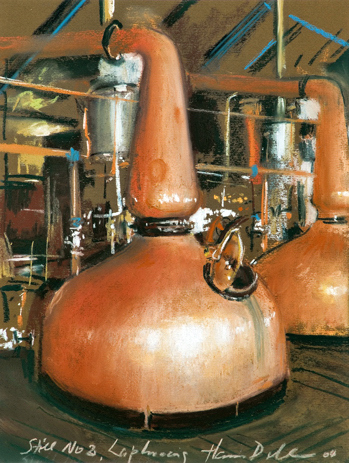 During the 1980s the distillation is characterised by much experimentation. The impact from the changes and expansion was not well understood. 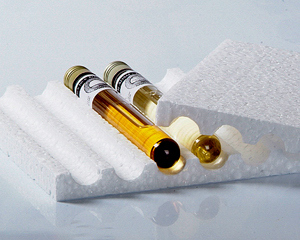 The separate low wines and feints receivers were exchanged for one large container, which caused problems in determining the cutting point from foreshots to new spirit. There was experimentation with the length of the foreshots, traditionally long at Laphroaig (45 minutes). 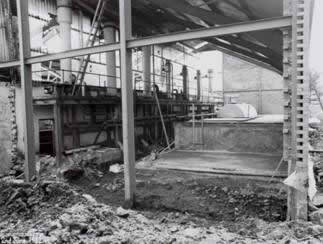 There was also a heat-recovery system installed, whereby the heat of the condensers, moved inside in 1982, could be directed back to the stills. 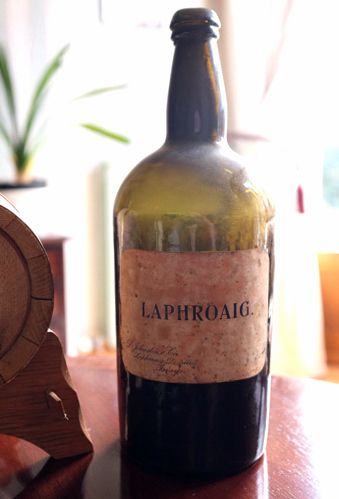 In 1989 Allied Lyons, who also had the American bourbon Maker's Mark in their portfolio, became Laphroaig's new owner. The influence of bourbon barrels increased gradually. Originally mostly refill bourbon barrels, but later first fill bourbon barrels in increasing quantities. The colour is now light gold, the nose less outspoken. The flavour is more smoky, oily, still fruity with a pleasant almond bitterness. Long finish. All things considered, still a strong Islay whisky. Current phase: distillation from halfway the 1990s to today. Since His Royal Highness Prince Charles visited in 1994, Laphroaig has been entitled to use the Royal Warrant on their label. 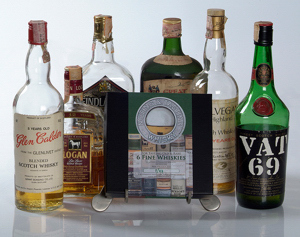 The demand for whisky in the 1990s increased dramatically, taking sales figures with it. It is a new turning point in the flavour. This is characterised by an increasing sweetness that you find in many modern whiskies. A different sweetness than in former days. The colour is now light gold and the nose has carton, citrus fruits and smoke. Masses of smoke. Fruit is still present in the taste, along with salt and the smoke becomes ash. But the whisky is out of balance, the finish shorter. The sweetness and lighter colour could be explained by the increased use of bourbon barrels. Only first fill bourbon barrels from Maker's Mark, which changed hands along with Laphroaig to owner Beam Global, are used currently in the 10-year-old Laphroaig. The bourbon barrels that come out of the United States are heavily charred, whereby sweet vanillins are released from the oak. The barrels are young, since the bourbon does not age long. Lots of smoke can point to a relatively young whisky. The yeast (Mauri) is freeze-dried and delivered in bags. I have not yet found out when the use of liquid brewer's yeast stopped. Yeast should not be underestimated as a flavour influencer. 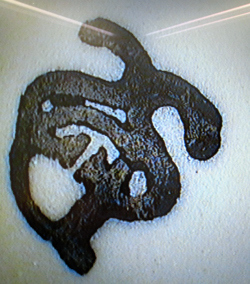 This yeast gives a short fermentation time (see above). All things considered, Laphroaig evolved from a very outspoken, medicinal, oily whisky, typical of the south coast of Islay, to a sweet, smoky whisky in an Islay style. Smoke has penetrated the taste and structure of the malt and the whisky seems young. It remains a strong one that distinguishes itself from most single malts, but without the refinement and balance of the older bottlings. Its neighbours Ardbeg and Lagavulin also underwent this change in style. Sweetness and smoke sell. Maybe to the disappointment of those who had the good fortune of tasting older Laphroaigs. The good news for them is that there is a movement in the whisky industry to restore some of the old production methods. Increased profits and budget cuts weigh heavily and successive managers reluctantly give way to the accountants. Regardless of the trend for returning to old production methods, it is a question whether that will result in the former quality. The methods in the past were generally labour intensive and time consuming, therefore expensive. Extensive European lawmaking creates more regulations regarding environment, working conditions, hygiene and quality control. This will undoubtedly have consequences for the whisky. The last bacteria and mould banished! Whisky will always and inevitably be subject to change. One can only hope that future managers will remain aware of the legacy of their predecessors and not listen too carefully to the accountants. It would mean John McDougall wasn't right in his book 'Wort, Worms and Washbacks', where he describes five stills on page 85. He was manager at Laphroaig back in 1967. John had confirmed the five stills to me a few years ago. I got an email from Bill Rankin, also called 'Stainless steel Bill', who was Long John Int. 's engineer in the 1960s and 1970s. He pointed out that the bottom picture of page 78 is not the power generator but the construction of the cooling tower which had two forced draught fans. 'I joined Seager Evans (Long John) under Schenley Distillers in 1956 as Supervising Engineer and left them as Main Board Director in December 1982. 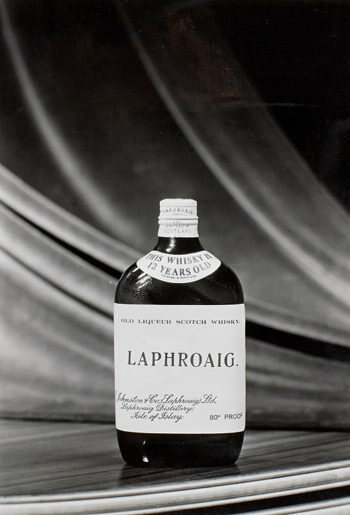 Seager Evans purchased Laphroaig between 1962 and 1967. Bessie Williamson (later Campbell) was MD. I have this note in my files, which was taken from the large file I found in the National Archives of Scotland (when I was following up the old story about a great Excise raid in the early 19th century). 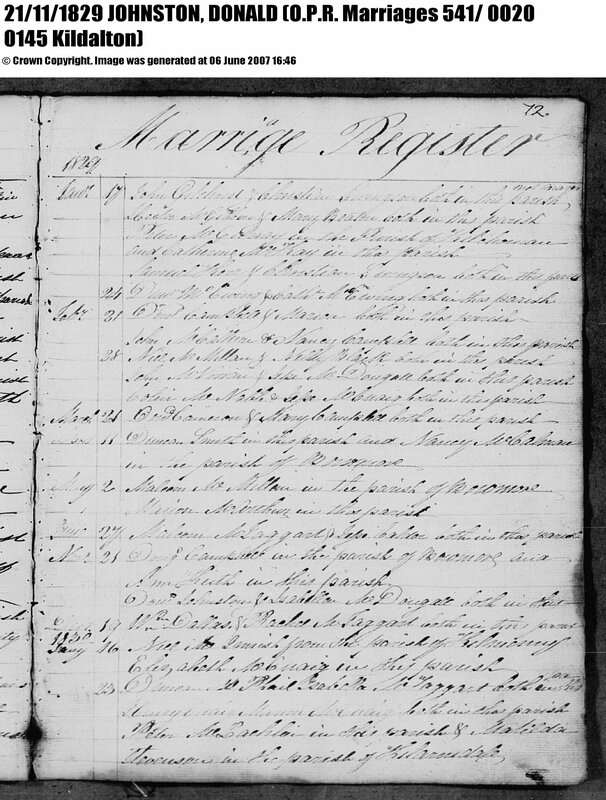 '1801 Alexander McDougall at Lagavullin among 233 Ilich charged with distilling and malting privately or retailing without licence (see NAS, JP36/5/46). His still is seized 4 January by Exciseman Campbell. 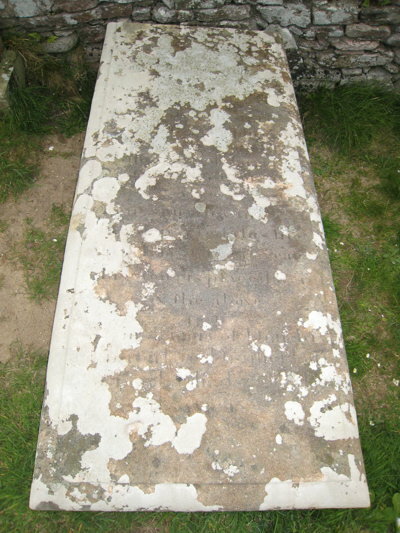 Also, Duncan MacDougall at Torradale (seized 20 December 1799). John Johnstone at Lagavullin (4 January) and Dugald MacDougall at Geeskill (same date) discovered retailing British spirits without a licence. 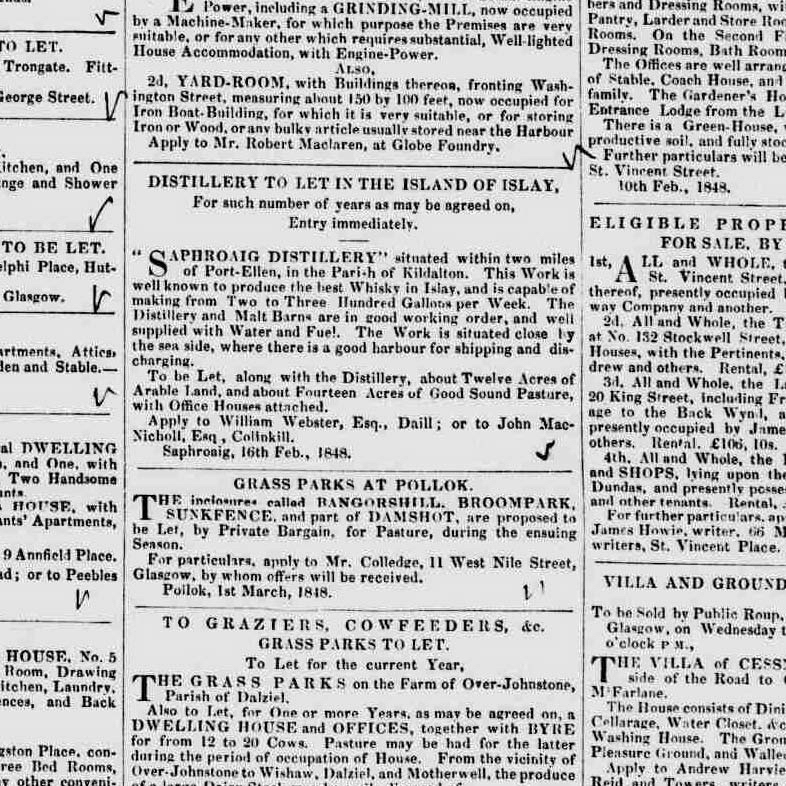 Margaret Gilchrist of Torradale caught selling spirits without a licence on 2 February 1801. 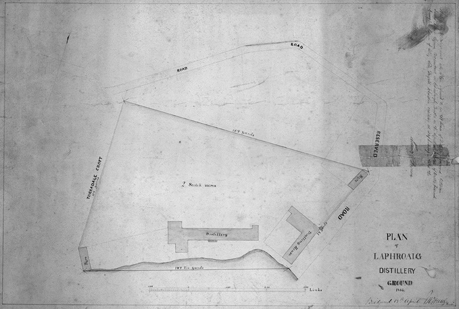 The Johnstons leased Laphroaig at Torradale from Duncan MacDougall in 1825 as shown below (scroll down). 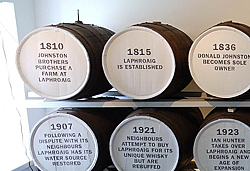 Surely the Johnstons were the first to start licensed distilling at Laphroaig and established it as an official firm. But it's well possible distilling at Laphroaig, although illicit, had already been started by the MacDougalls when the Johnstons leased the farm. After all, the MacDougalls were as much a distilling family (Ardbeg!) as the Johnstons. Bessie Williamson left Glasgow University with an MA in 1932 and with jobs scarce in the economic slump that hit cities like Glasgow in the early 1930s, she took on a succession of temporary appointments. Unfortunately this is not entirely true. 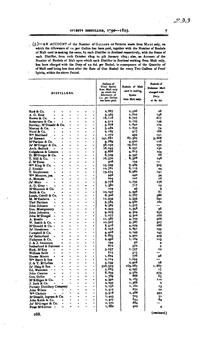 The company's accountants in 1915 were James Pollard & Bird. 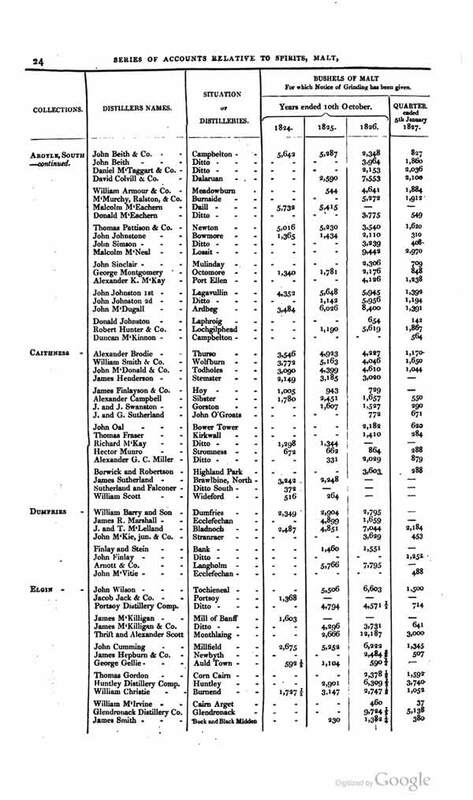 There is a gap in the records the University of Glasgow holds, but in 1931 the accountants who approve the accounts are Wylie & Hutton. 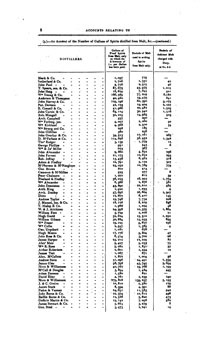 There is another gap of 8 years, but from 1939 onwards the accountants are Wylie & Hutton. 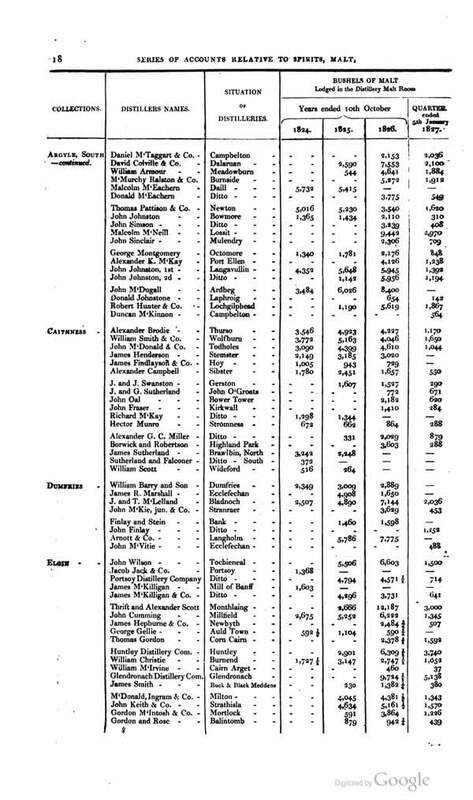 In 1950 JS Hutton CA is listed as a director of D. Johnston & Co Ltd (Laphroaig). Bessie matriculated at the University of Glasgow in 1927. She intended to graduate with an Ordinary MA, a general Arts degree that usually entailed three years of study, and to become a teacher. However, she had to re-sit a number of exams and did not graduate until 1932. While waiting to enrol at Jordanhill College of Education, Bessie worked as an office assistant with her Uncle William Paton, an accountant working for the restaurateurs and purveyors Smith Ltd. (Glasgow). According to members of the family, Bessie attended night classes at the Glasgow and West of Scotland Commercial College while working for her uncle. In the summer of 1934 she went with her best friend Margaret Prentice on holiday to Islay. She learned of a temporary vacancy for a shorthand typist at the Laphroaig Distillery and her application for the job was successful. Previous writers understandably have confused 'Wylie & Hutton'' with her uncle Willie Paton. It is often thought Bessie sold her shares to Long John Int. because Laphroaig was in dire need of repair. This is only part true. Death duties in the UK were crazy high and she just couldn't afford both refurbishing the distillery and paying these duties. These death duties caused the enforced selling of many estates and mansions over the last century in the UK. Good to see one of my favourite distilleries up and running again. Some Glenglassaughs are truly outstanding. Couldn't resist teasing them a bit with putting a competitor's name on the 50 litre octave I purchased. The costs for an octave are 500 GBP for a bourbon cask, 600 GBP for a sherry cask. It´s a great way supporting them and having your private bottling in a few years time. 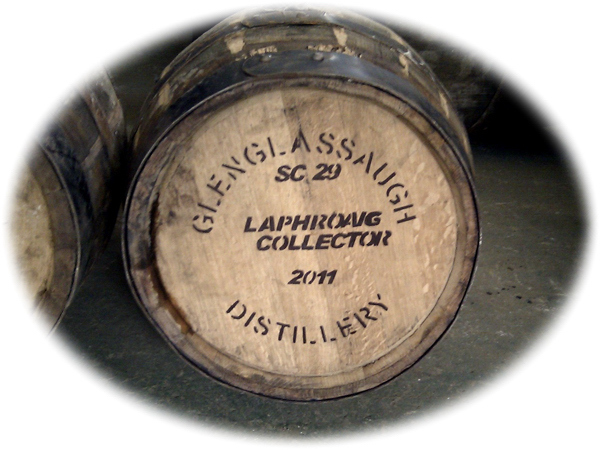 If you are interested getting a cask of your own, contact Ronnie Routledge at Glenglassaugh. 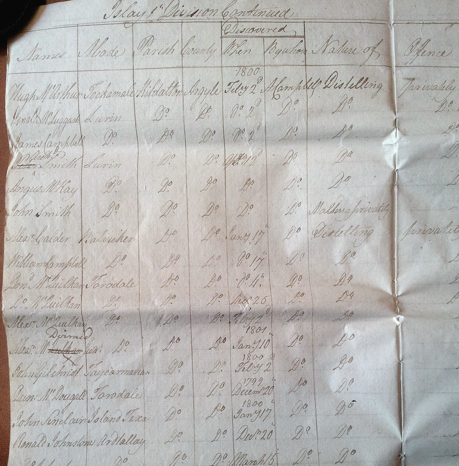 found a distillers list 1790-1825 dated 2nd of May 1825, confirming there's no Donald Johnston mentioned as distiller. 26 November 1826-2 July 1827. A while ago Robin and I researched the Kildalton Papers and Islay Estate Papers at The Mitchell Library in Glasgow. Also went through the Laphroaig archives again at the Glasgow University. 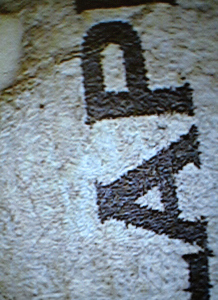 Old facts were confirmed and old letters I overlooked on previous occcasions were found. It will be almost impossible to unearth much more of the oldest Johnstons. 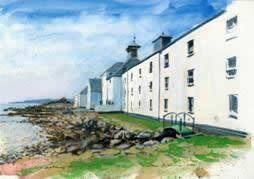 Although the Campbells who owned Islay were keen administrators, much has been lost due to fire, water, mice etc. 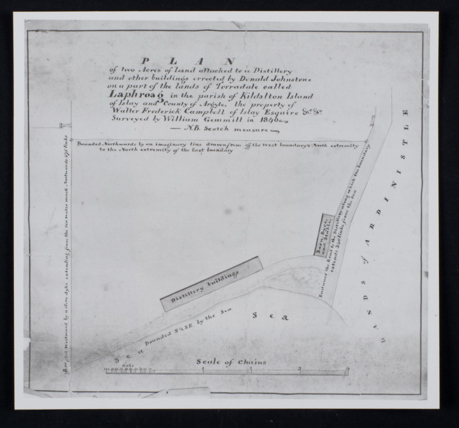 During WWI a big fire in Glasgow had destroyed much of the Islay Estate Papers, then in possession of the Ramsays of Kildalton, where they were stored. 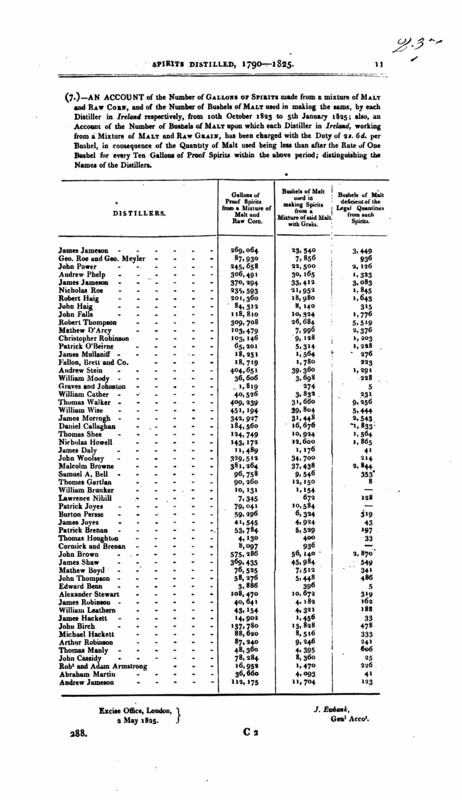 The multitude of the same family names adds up to the difficulty establishing their identity. Nevertheless the main stream of their past is pretty clear. It's a pity we will never be able to fully record this part of Islay's history but this is also part of the charm and myth. 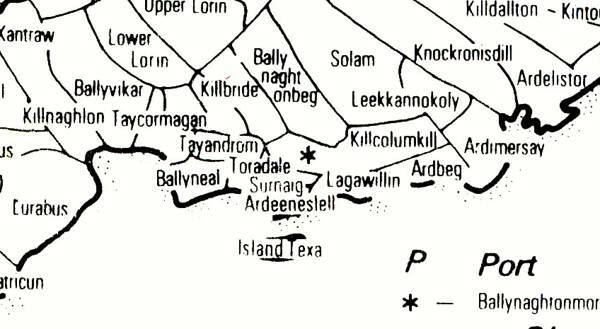 "The Campbells leased the areas known as Tighcarmogan and Torradale around Loch Laphroaig to Johnstons. 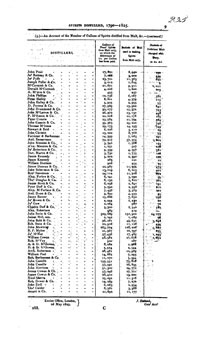 They are mentioned in the rent rolls as early as 1776 and likely (illicit?) distilling was already going on. 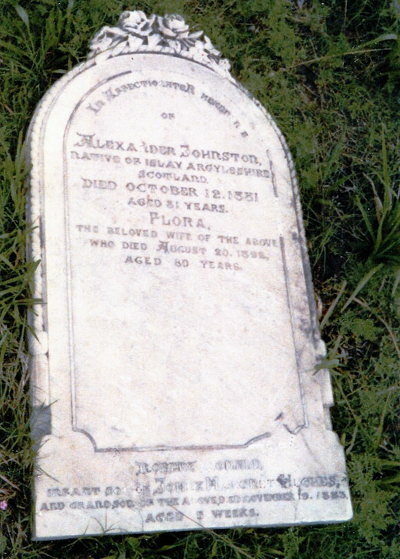 One of the descendants of these early Johnstons was Alexander, who settled in Tighcarmogan, now Port Ellen. 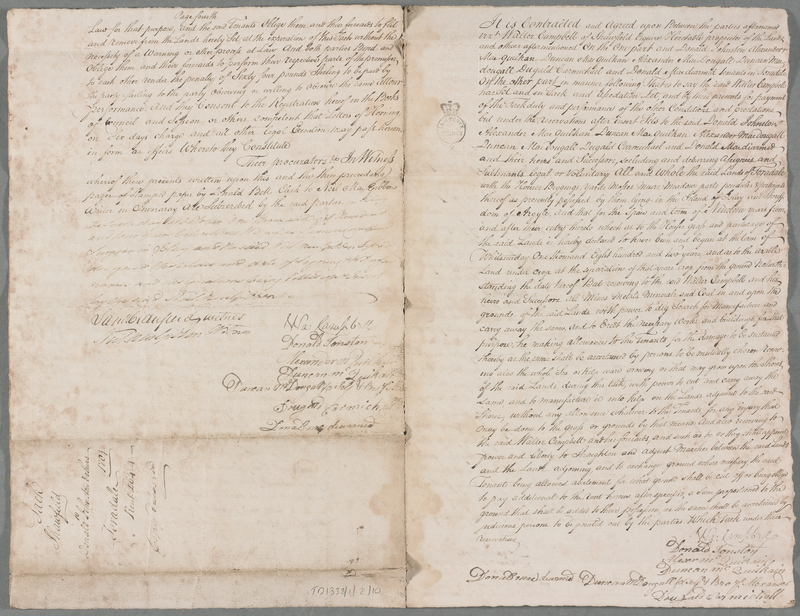 An Alexander Johnston(e) is recorded at Tighcarmogan in a lease dated 9th of October 1776 (part one and part two). It's likely he is the father of Donald (born 1796) and Alexander Johnston (born 1803), who are considered the founders of Laphroaig Distillery. 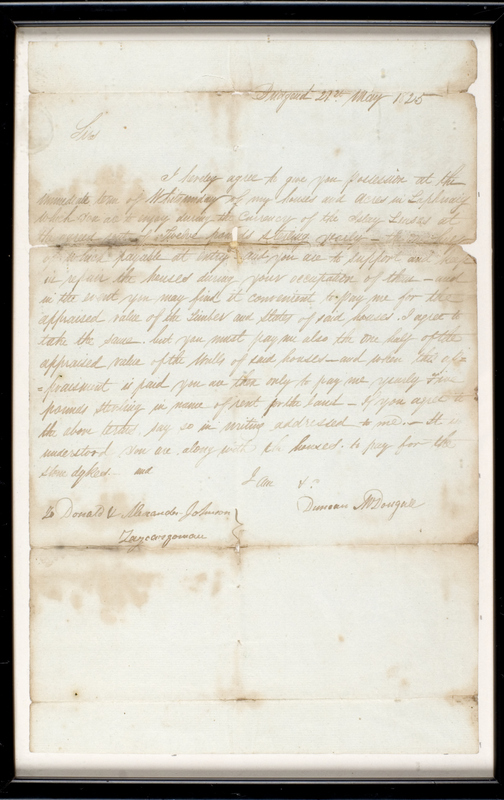 Donald and Alexander are the sons of Alexander Johnston and Mary Graham and are mentioned in an offer for the lease from Duncan McDougall to Donald and Alexander Johnston (click on the document for a bigger version) dated 27th of May 1825, Tighcarmogan. Duncan McDougall was head tenant of part of the land called Torradale and given the text, this is not a renewal but an initial (sub)lease. 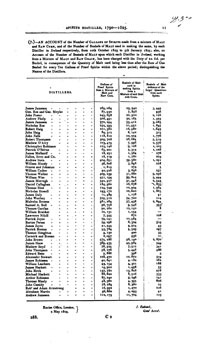 Donald, the entrepreneurial one of the two brothers, was first recorded in the Excise accounts of 1826 as "licensed" distiller. He does not occur on the 1821 distiller's list. 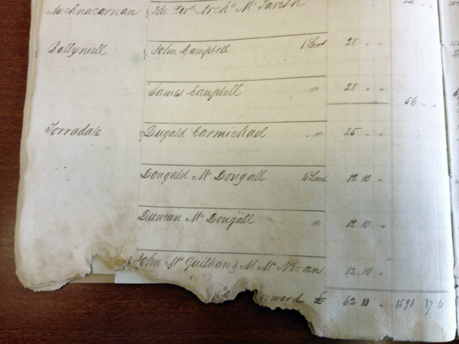 In the "Black Book" of 1828 which is a list of Islay tenants, only Duncan McDougall is mentioned as tenant, not Donald Johnston, being subtenant. Soon after Donald settles at Torradale, he marries Isabella McDougall (!) 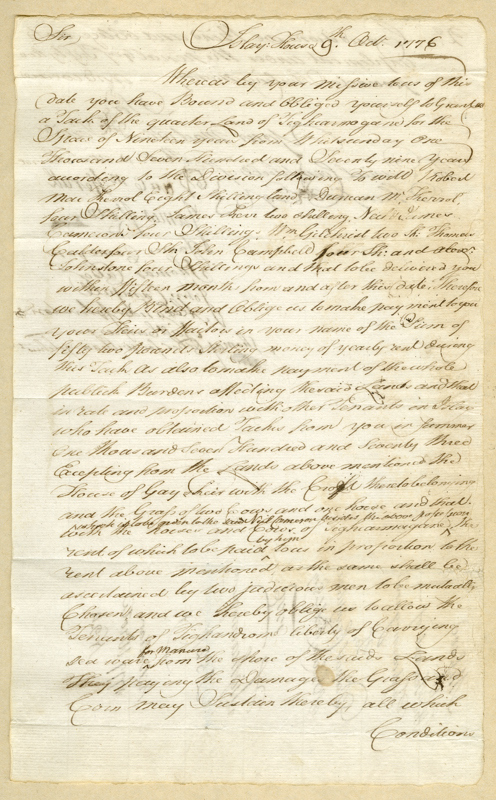 in 1829 (click on the document for a bigger version)." 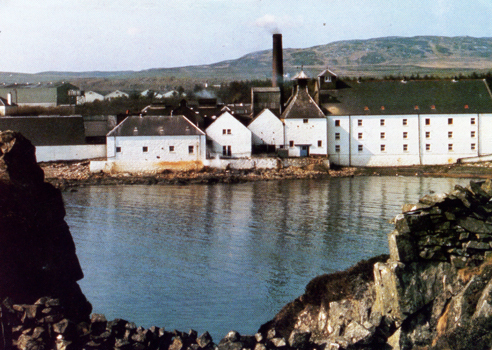 Laphroaig was founded in 1825. It's not my habit posting an item on other distilleries. For this one time I am happy making an exception. 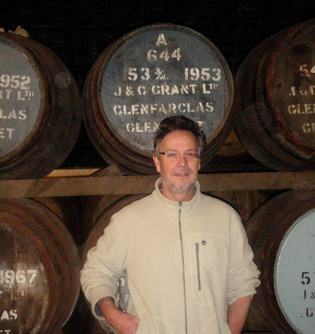 Got a superb privat tour and tasting at family owned Glenfarclas last week from Ian McWilliam. A new spirit and a cask sample, a 21 year old, 25, 30, 40, a fantastic Family Cask 1953 and 1958. All stunning. Where most distilleries today are absolutely hysterical about taking pictures and safety measures, I could take all the pictures I wanted. Thanks Ian, thanks Glenfarclas. 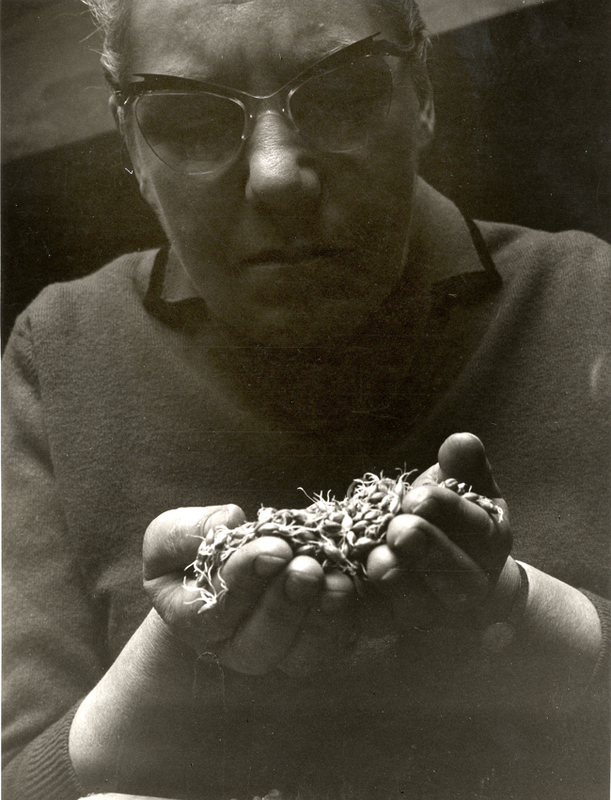 Great picture of Bessie Williamson made around 1967, which I recently found at the Glasgow University Archives. I think it was shot by Rex Wailes who made many pictures of Laphroaig at the time. 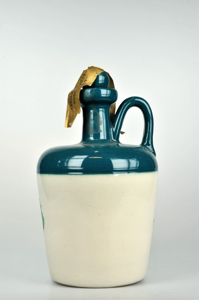 It is a Long John 12 year old presentation jug given to sales representatives in the company one of his relatives worked for thirty years ago, Holywood & Donnelly, which is a drinks distribution company in Northern Ireland. Maybe only 5 or 6 were presented. 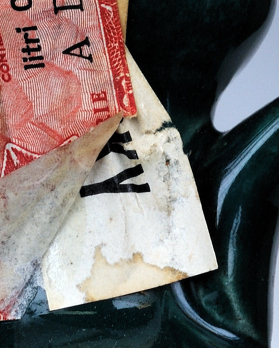 Print a 15 year old label, stick it on the back et voilà: a 15 year old Laphroaig jug. On July 19th 1916 during WWI a fierce battle took place in the village of Fromelles in France between the German and Allied troops during which thousands of Australian and British men were killed. Many of them were anonymously buried in a mass grave. Only in 2008 this mass grave was discovered and volunteers have since tried to establish the identity of these men through extensive DNA research and re-bury them in individual graves. More details on Cyril: here. WARNING , SPRINGBANK COLLECTION STOLEN! Sad news, our friend Michiel Wigman, who's not only the biggest Springbank collector in the world but also very knowledgeable and always ready to help, just found out that a part of his collection was stolen (exactly 183 bottles that were in a storage house, not at his home). (Excel list). Should you notice anything, please just drop me a line .Thank you! Please note that the remaining part of Michiel's collection is neither in that storage house, nor at his home anymore. Excellent Dutch website, where you can order whisky kits containing six tubes of 25 ml single malt or old and rare blended whisky: www.rarewhiskysite.com . Try the blends! Some are as old as the early 1900's and exquisite. Highly recommended. These old blends are much better than many of today's single malts. 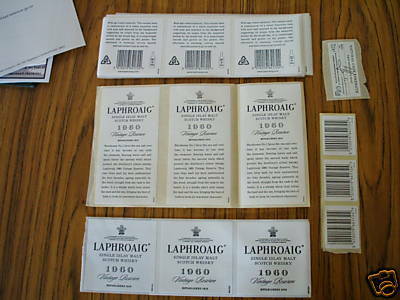 Somewhere in the 1990-ties the idea arose that Laphroaig was founded in 1815, which was from a PR point of view understandable. 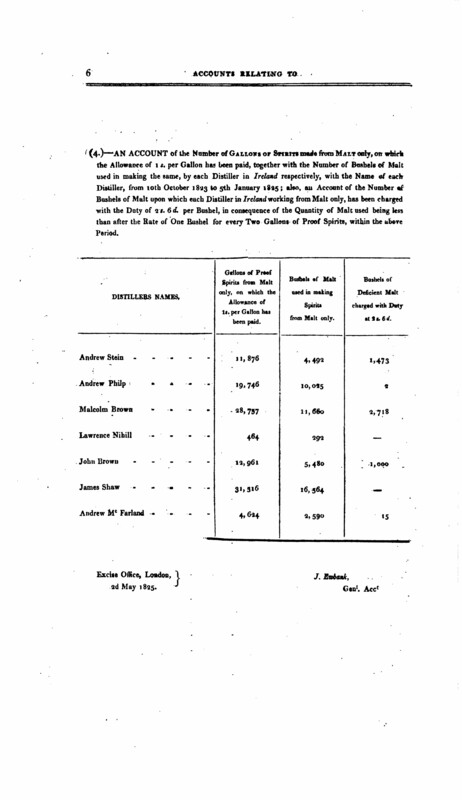 It is likely however (illicit) distilling had been going on since the 1790-ties, maybe even earlier, when Alexander Johnston, father of the supposed founders Donald and Alexander, leased some land at Torradale, now Laphroaig. It was very usual for farmers to distil as a way to make some extra money or just for their personal use. 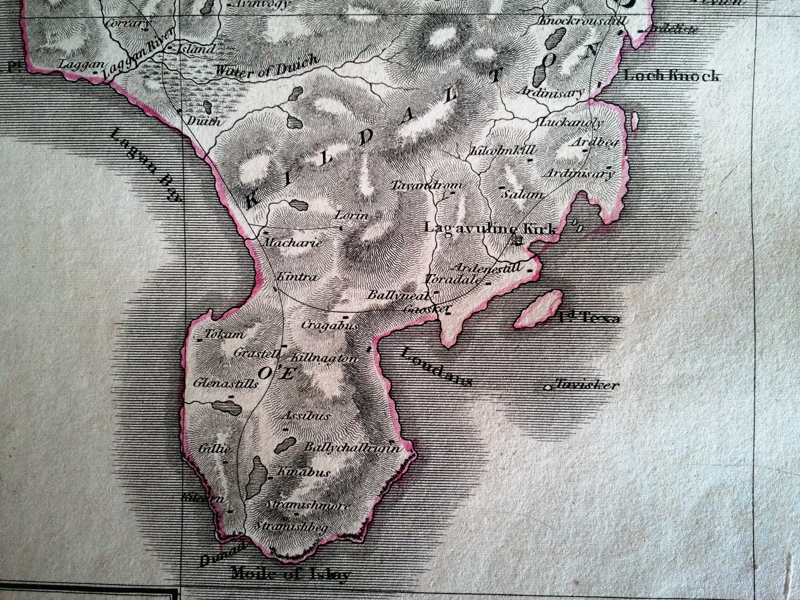 Islay being a remote island, the Ileach didn't bother too much about regulations imposed upon them by London. 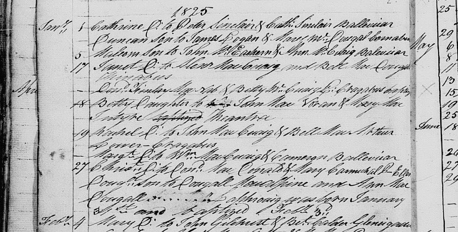 It isn't until 1826 that Donald is recorded for the first time in the Excise accounts as "licensed distiller". I don't think there was an actual "founding date". It just gradually started, combined with farming which ended in the 1960-ties. 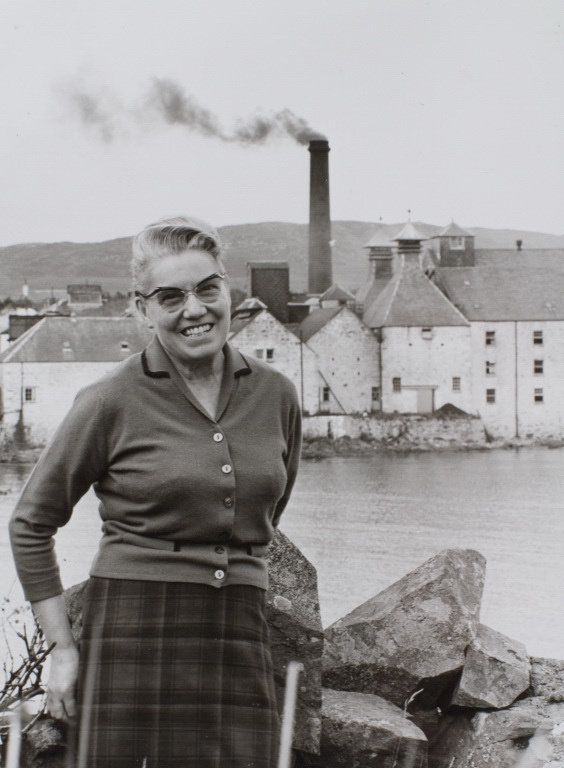 Likewise Laphroaig was probably founded by the Johnston family, not just by Donald and Alexander. In 1815 Donald was 19 years old and Alex only 12 years. A bit young, unless they had their family looking over their shoulders. The whole thing just became more serious somewhere around 1820. 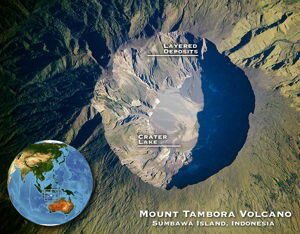 In April 1815 the largest eruption in historic time occurred, when the Tambora volcano erupted in Indonesia. Clouds of dust blurring the sun world wide, causing global climate anomalies with extremely cold weather in Scotland and Ireland. Agricultural crops failed and livestock died, causing the worst famine of the 19th century. Thousands of people perished because of starvation and the succesive outbreak of typhus. This must have affected Islay's distilleries severely too. It is unlikely grains would have been used for distilling. This lasted almost three years, 1816 being an extremely cold year with frost until June and became known as "The Year Without Summer". 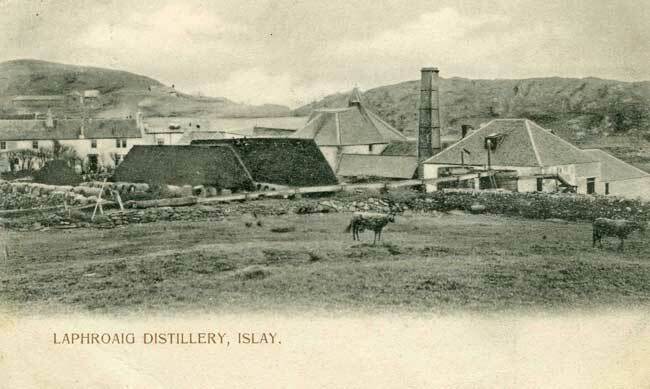 With barley being harvested in August, Laphroaig probably didn't distil much in 1815. The graves of Laphroaig founders Donald (left) and Alexander (right). 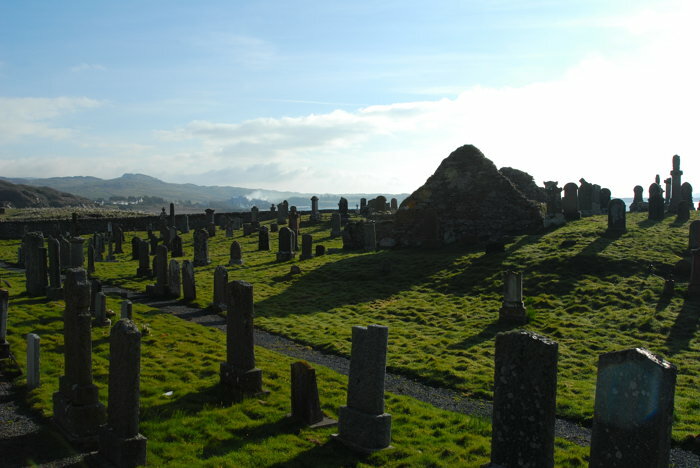 Donald died in 1847 and is buried with his first wife Isabella McDougall and young son Alex (age 5) at Kilnaughton Cemetery, Port Ellen. Their grave lies East of the old chapel. 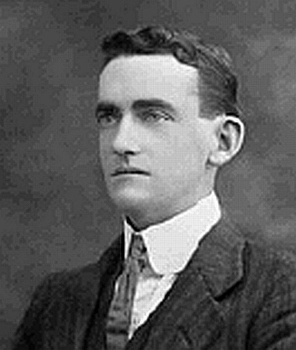 His second wife Alice McDougall died in Canada. His younger brother Alex emigrated to Australia and died in 1881. He is buried with his wife Flora McTaggert at Sandgate Cemetry, Newcastle, Australia (picture courtesy of Lin Johnston, great-great granddaughter of Alex). Is there a connection with the "Ardbeg" McDougalls..? 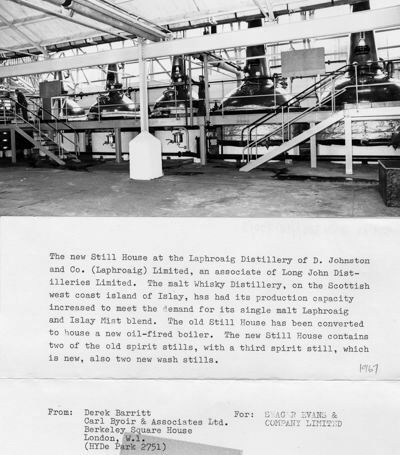 John McDougall has confirmed there were indeed two wash stills and three small spirit stills when he arrived at Laphroaig to become manager in 1970. John just started a really nice website with a whisky forum. He knows a lot about making whisky and you can discuss matters with him here. On the pictures you clearly see 5 stills, not 6. The accompanying text also indicates there were 5 stills. Why would official press release photographs show 5 stills if there were 6?? If you look closely, you see the proposed extensions which confirms there were actually 5 stills. There were never 6 stills and the capacity went from 4 to 5 in 1967 and from 5 to 7 in 1972. Busy times in fake bottles wonderland. Don't these people have decent holidays like everyone else? 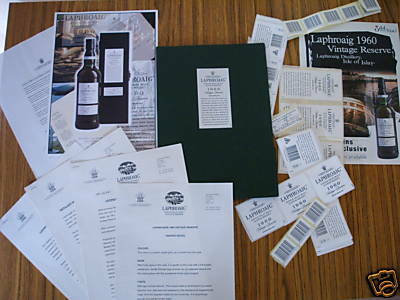 "A rare pre-release folder for laphroaig 1960 (limited to 300 bottles), dated 30th july 2001. the green folder contains the following : 1 x page of tasting notes. 1 x 3 pages tittled - Laphroaig unveils a truly definitive islay malt. 1 x 1 page titled - Laphroaig 1960 vintage reserve-defined by its long sleep by the sea 1 x 1 page titled - distillery managers - ensuring quality over generations 1 x 1 A4 colour image of the bottle and box. (on thin card) 1 x 1 A4 copy of certificate (thats included in the box) 1 x 1 A3 full colour folded sheet with info printed on both sides including the price of £375 per bottle and £199 for the 30yr old etc. multiple unused bottle and box lables - self adhesive on strips ( over 50 labels). Thanks for looking." Shall we bet there will be 1960's Oddbins for sale on eBay shortly? If there is a "Fake Award of the Year", this is a serious contender for 2009. I bought this from a guy on eBay. 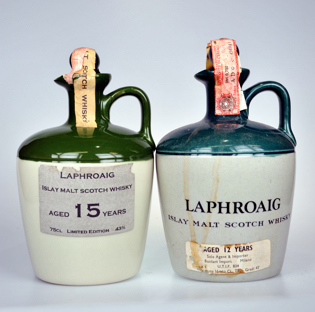 "Very Rare LAPHROAIG 15 yo ISLAY MALT Sealed Ceramic jug". Spot the differences? OK, here we go. 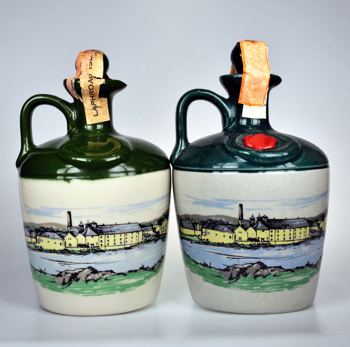 Left the "Hiram Walker" jug, right the common 12 year old Italian import by Bonfanti (pics A and B). Different color, size? Not impossible. Left jug just a back label, right jug back label and words embossed (pics A and B). 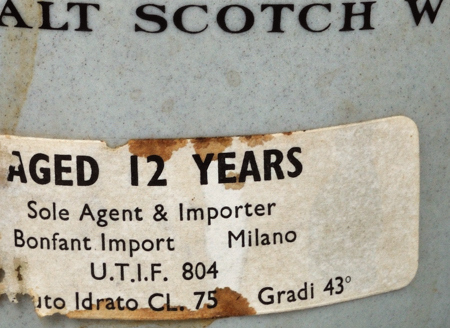 Correct statement for the 1970-ties and early 1980-ties: "Islay Malt Scotch Whisky". 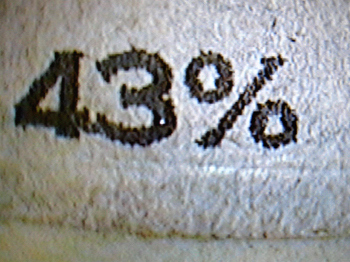 On the US label: "75cl and 43%". For the US in that period "750ml, 4/5 quart or 25.5 fl. ozs. and 86 US proof" was usual. The "5" font on the label is not one ever used by Laphroaig. Pic C: US tax seal "Imported by Hiram Walker, Michigan." 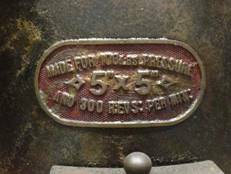 A look at the bottom of both jugs: pic D. Left jug (Hiram Walker) with logo "DSS" (pic E), obvious joint on the left jug, right jug bottom blank. 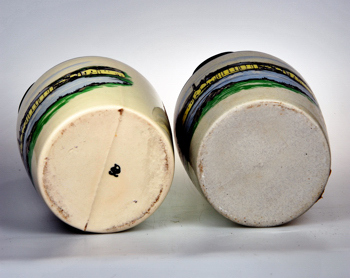 A little search on Google produces a DSS ceramic manufacturer in Thailand. The usual supplier for nearly all stoneware however was Govancroft Potteries in Glasgow till the 1980-ties and Wade for high value issues. A close look at the seal (pic F and G) and label (pic H) of the US jug show a grainy print, obviously home made with an ordinairy printer. Compare this with pics I and J with a razor sharp, professional print. Crucial however is Hiram Walker never imported Laphroaig till the 1990-ties, when it became part of Allied Domecq. Its name only on Canadian Club and a few liqueurs before. Despite the fact seller has an impressive feedback record, I found out he was involved in two other cases of dodgy bottles. To his defence I have to say he immediately offered a full refund. As a collector you are sometimes just too eager. Do ask questions, be critical, ask advice from experts. Check sellers who buy empty bottles, labels, presentation tins and boxes etc. And better use PayPal for payment. That way you may have a chance of regaining your money. If I just had googled Hiram Walker, I might have known. Because, no matter how brilliant the fake, there is always something that's not right or doesn't feel right. It was in 1994 that my wife and I entered the small visitor centre of Laphroaig for the first time. There was no one there and we looked a bit around, till a gentleman showed up with a green "Laphroaig" embroidered sweater. He introduced himself: "Hi, I am Iain Henderson, I am the manager". There wasn't a tour anymore that day, but he showed us around as if we were the first tourists he saw that year. When we left we bought a nice bottle. A 30 year old Ardbeg...sorry for that. 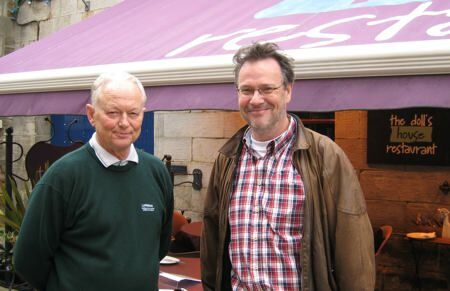 I have met Iain on a number of occasions. Last time we met was at the launch of "The Legend of Laphroaig" November 2007 when he had come over to Holland for the occasion, hosted by Dutch Laphroaig importer A Brand New Day. We were in Scotland the last week of May this year and had made an appointment with Iain to meet and have lunch in St. Andrews. He had agreed on doing an interview for WhiskyFun.com. Serge Valentin and I had prepared some questions and the result you can see here: www.whiskyfun.com. Thanks for the interview, Iain. The next months I will show some of Iains private pictures which he kindly has given me to scan. 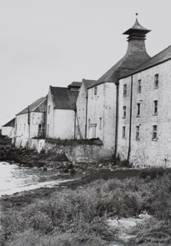 During the last couple of years I received several questions from members of the Johnston family and Gaelic scholars why Laphroaig's version on their website of the earliest history is different than the one in "The Legend of Laphroaig" and which is commonly accepted by historians. A lot of incorrect information has been published about their history and this has always been a sensitive point to the Johnston descendants. Therefore I have added a small chapter to "history" about it. Come on Laphroaig, please change it! It's nonsense. Laphroaig is not of Irish origin! Recent DNA tests clearly indicate that the Johnstons are decsendants from Clan Donald. 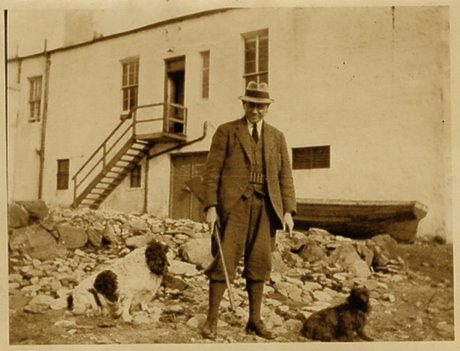 Except for the McCabe part, the story of three brothers coming to Islay comes from an interview in a Canadian newspaper The Scottish Canadian in 1912 with John Johnson, great grandfather of Canadian Johnston descendant, Finlay Johnson Payne. 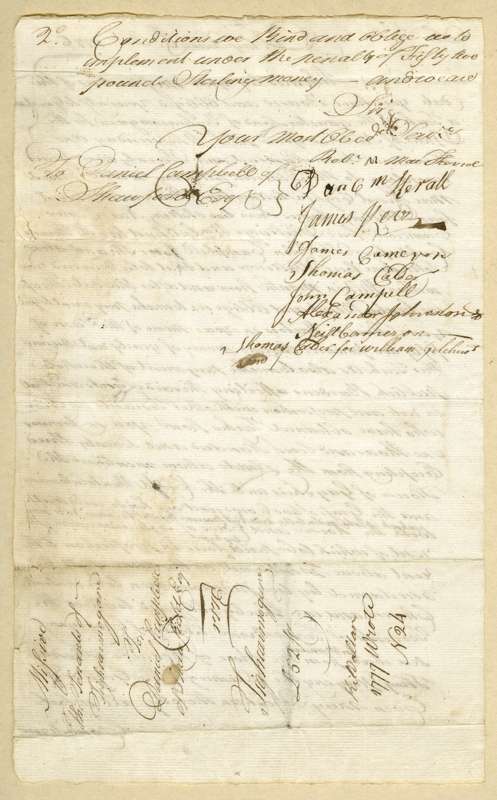 John Johnson's version of the Clan history was entirely based on the Oral (Gaelic) Tradition. 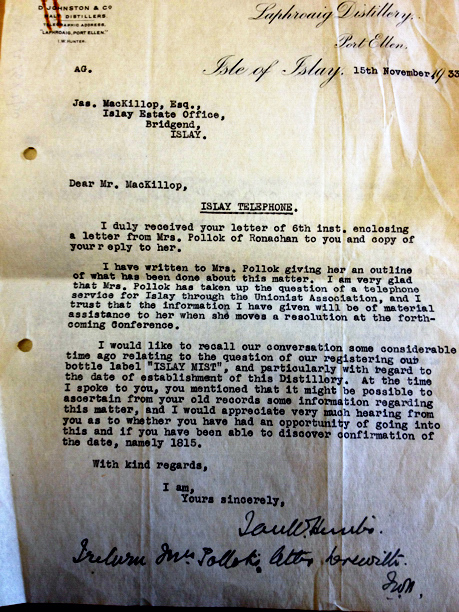 Finlay gave a copy of the article to Bessie Williamson in 1959, who left it in the Laphroaig files, where subsequent writers unfortunately have used it. He and other family members went on researching and found out his great grandfather’s re-telling of the earlier Clan history wasn´t completely accurate. Of course there might have been three Johnston (MacIain) brothers coming to Islay at the same time, after all they were a truly clannish family and their fortunes paralleled and intersected, but the Johnstons mentioned in the article, Ronald, Duncan and Alexander, were NO brothers." It's getting harder and harder finding new and interesting bottles, but soon expected: batch no.1 of the 10 year old cask strength and the Feis Ile 2009 bottle. I will also add pictures from time to time from the personal collection of former manager Iain Henderson. Here are two, reflecting how moody Islay weather can be. Found this postcard probably from the late 1970-ties. The old chimney, which was knocked down around 1983 is still erect.